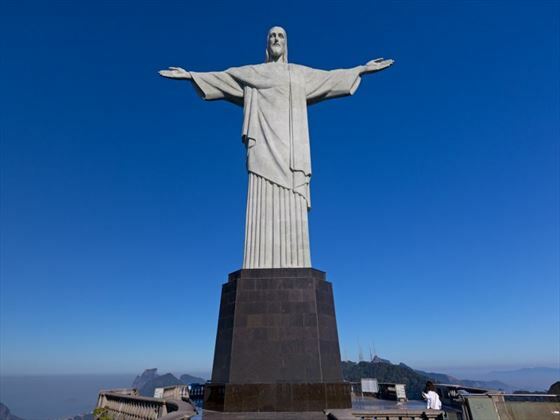 Arrive into Rio de Janeiro and transfer to your hotel. Head south along the Atlantic coast to the Ihla Grande – one of the most beautiful and relaxed islands on the coast. Spend some time relaxing on the beaches or take a dip in the waters. There will be free time for hikes and walks around the island, before continuing on to Paraty by bus. 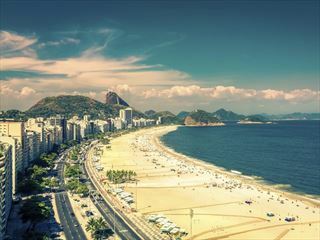 There will be an optional visit to a cachaça distillery or a chance to take a boat tour of the bay and nearby beaches where you can spend the day swimming, snorkelling and diving. 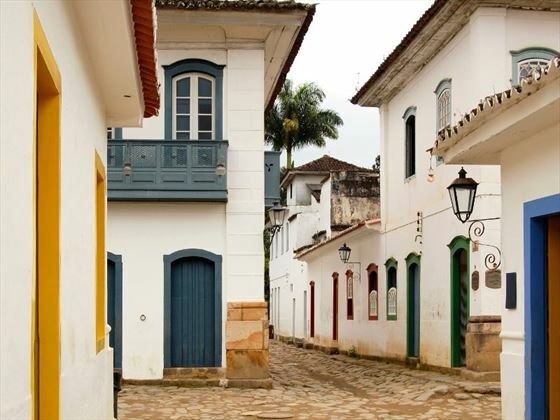 This colonial town is charming and filled with significant Portuguese architecture, making it a wonderful place to explore. 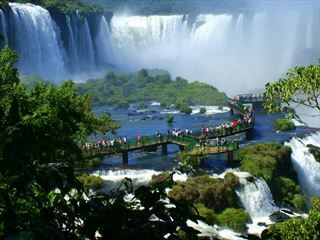 Transfer to São Paulo for a flight to the Iguassu Falls area, exploring both the Argentinean and Brazilian sides of this amazing landmark. 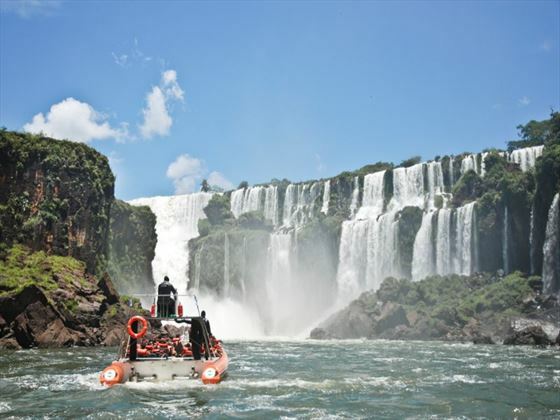 There’s also an optional boat ride near the base of the falls, for a really unique perspective on this UNESCO World Heritage Site. From here, continue on to Bonito on day 10 for optional activities such as exploring the nearby caves and waterfalls, or snorkelling in the crystalline. 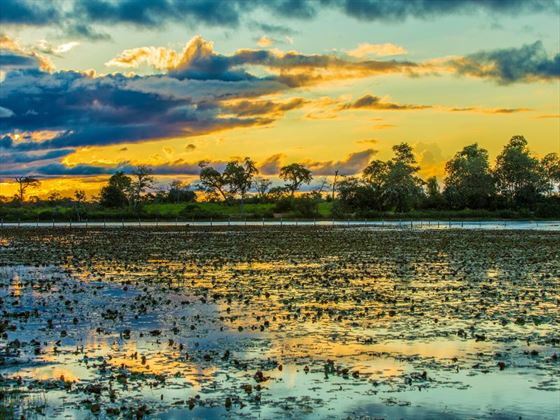 The Pantanal, one of the less well-known areas outside of Brazil and South America, is a vast wetland area around half the size of France. It remains one of the best areas in the continent for spotting wildlife. 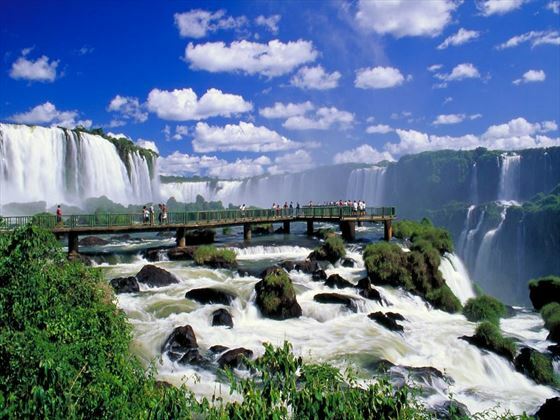 From the frontier town of Corumba, head into Bolivia and Puerto Suarez which is the gateway to the Pantanal. You’ll take an overnight train to Santa Cruz where you’ll depart for a local flight to Sucre. 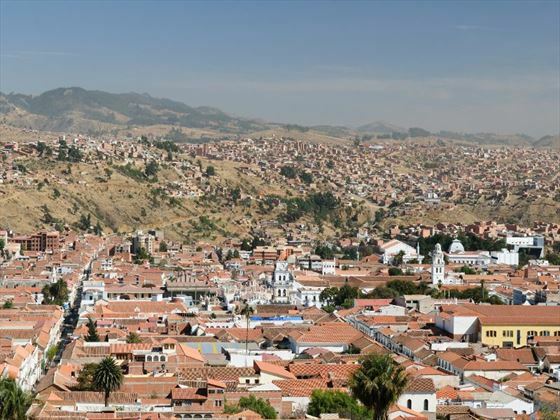 Fly to Sucre, which is often referred to as Bolivia’s White City. There are many wonderful museums and colonial buildings to explore here, with optional activities including a visit to witness dinosaur footprints, a textile cooperative, and outdoor pursuits such as mountain biking and hiking. 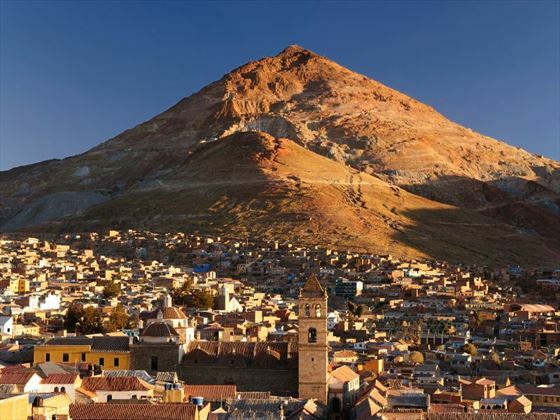 Potosi is the highest city of its size on earth and a UNESCO World Heritage Site. There is an optional excursion to a working silver mine today, where you’ll learn about the history of this area and the harsh working conditions, or you can use the time to explore at leisure. Pass through the Bolivian landscape to arrive at the town of Uyuni, which is isolated and has a challenging climate throughout the year. 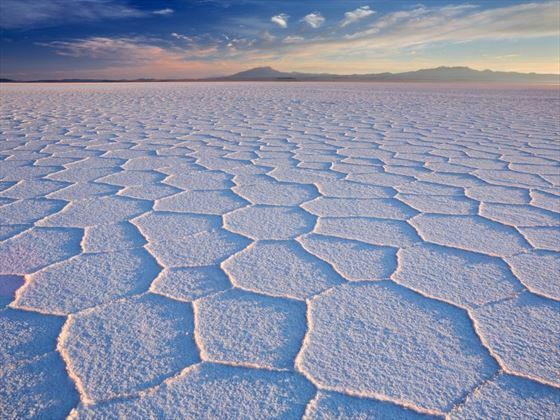 It is here that you’ll begin your three day excursion through the Uyuni Salt Flats in 4x4 vehicles. The striking white salt meet with azure skies for truly distinctive vistas that make for unique photograph opportunities. You’ll be staying in simple hotels made entirely of salt which have been upgraded with solar panels to provide you with hot water and electricity. Whilst travelling through this desert the scenery and wildlife is fantastic, volcanoes, geysers, salt lakes and flamingos are just a few of the things you’ll spot. On day 23, you’ll continue through the spectacular scenery, unlike anything else you have seen before travelling to La Paz by overnight train. La Paz acts as the de facto capital for Bolivia and is a bustling, contemporary city with its heart at the base of a canyon. 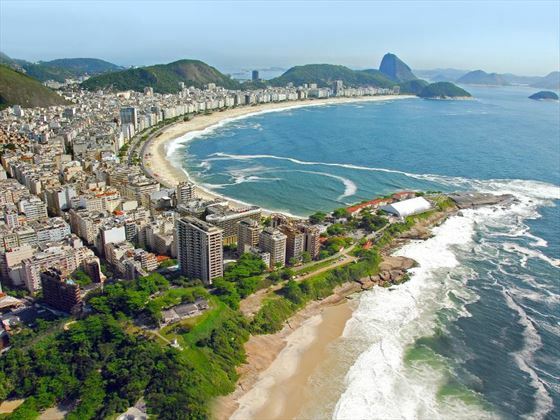 While you’re here, you’ll take part in an optional city tour before having some free time to explore some of the many fascinating and unique markets, winding streets and historic structures. Take a trip to the witches market to learn about their unique rituals. Depart from La Paz today. 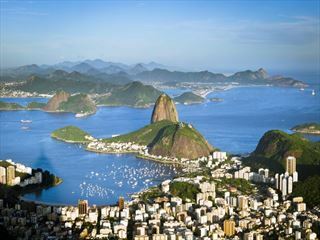 Starting in the vibrant city of Rio de Janeiro and ending in the tango capital of Buenos Aires with visits to Iguassu Falls, tropical rainforests and local communities, this captivating 9-day escorted adventure is a perfect choice for nature lovers, city explorers and cultural enthusiasts.